Finance Blogger Wisdom: What’s a Reasonable Estimate for Portfolio Returns Going Forward? Assume you are advising a pension fund, endowment or foundation. What is a reasonable long-term expectation for real returns for a well-diversified portfolio? The answered varied, but it seems like the consensus was somewhere in the ballpark of 2%-3%, though some had estimates of 5% or better. That’s roughly in line with with the yields you can achieve on a high-quality bond portfolio. So, core assets should return something in the ballpark of 2%-3% per year over the next 8-10 years. Overseas (and particularly emerging market) stocks might do significantly better than that, and commodities might enjoy a good decade starting at today’s prices. So, a diversified portfolio that included emerging-market stocks and commodities might post respectable returns. But a standard 60/40 portfolio is unlikely to return better than about 3% over the next 8-10 years. There were some very solid, very thoughtful responses from several financial bloggers I respect and follow. To read the other answers, see Finance blogger wisdom: real returns. This article first appeared on Sizemore Insights as Finance Blogger Wisdom: What’s a Reasonable Estimate for Portfolio Returns Going Forward? This article first appeared on Sizemore Insights as Emerging Markets Set to Take the Lead? Are the FANGs Holding Up a Weak Market? Data as of 3/26/2018. Past performance no guarantee of future results. It remains to be seen whether the market is in the midst of a garden-variety 10% correction or if this is the start of a deeper bear market. But it does seem like this market is being held aloft buy a small handful of large-cap tech stocks: the infamous FAANGs. The S&P 500 cratered in early February but quickly rebounded, recouping about two thirds of its loss. And when the market rolled over again this month on trade fears, it stopped short of hitting new lows. 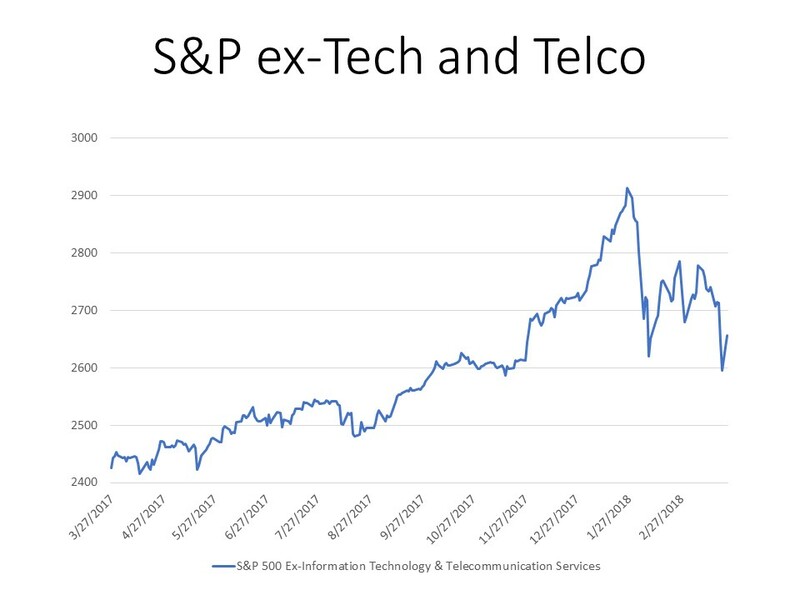 But stripping out tech and telecom stocks, we see a different picture. 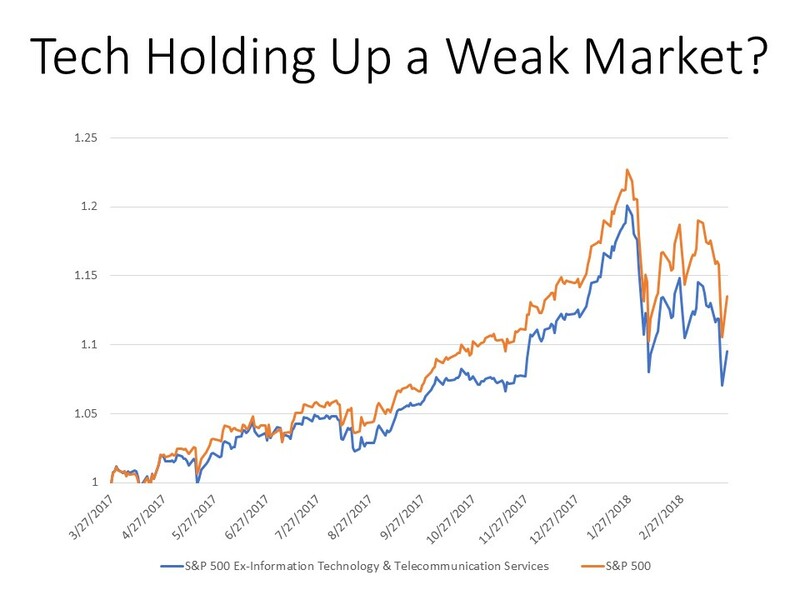 the S&P ex-Technology and Telecom Services Index fell in lockstep with the S&P 500, but the recovery was less robust. It recovered a little over half the prior losses. And when stocks dropped again in March, the ex-Tech and Telco fell to new lows. Furthermore, the data as presented here doesn’t specifically isolate the impact of the FAANGs. The S&P 500 ex-Technology and Telecom Services index actually includes one of the FAANGs — high flier Amazon.com (AMZN) — which makes its performance look better than it should. It also excludes stodgy old telecoms like AT&T (T) and Verizon (VZ), both of which have gotten obliterated this year as interest rates have risen… and which didn’t participate at all in the rally earlier this month. Excluding telco also makes the ex-tech index look better than it should. I’ll dig deeper into the data later to build a true S&P 500 ex-FAANGs index, but this initial look would suggest that the this market is indeed narrow, being held aloft by Big Tech. That’s worrisome… and it makes me believe that more pain could be coming. Disclosures: No positions in the stocks mentioned. 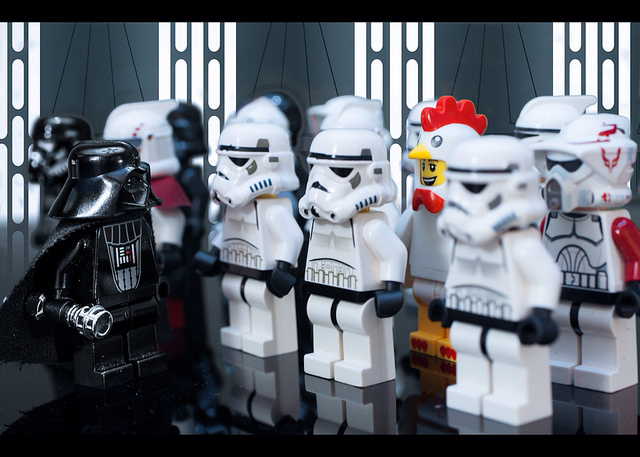 This article first appeared on Sizemore Insights as Are the FANGs Holding Up a Weak Market? It’s morally wrong to enjoy the benefits of something while leaving others to accept all the risks. This is the central theme of Nassim Nicholas Taleb’s latest work, Skin in the Game: Hidden Asymmetries in Daily Life, a book that should be required reading for anyone in public office or in any position of authority or influence. And by “position of authority or influence,” I’m not speaking only of politicians or journalists. I would include everyone from the town doctor to the b-list celebrity with a large Twitter following. The concept of skin in the game can be best understood by what Taleb calls the “Silver Rule,” or the flip side of the Golden Rule to do unto others as you would have them do unto you: Don’t do onto others what you wouldn’t want them to do to you. Don’t expose others to harm unless you are also directly or indirectly exposed. As an example of what that looks like in the real world, consider ObamaCare. Our leaders passed legislation that caused a massive spike in the cost of health insurance — doing real harm to tens of millions of Americans — while accepting none of the risk. Congressmen don’t buy their health insurance on an ObamaCare exchange and are given — at taxpayer expense — vastly superior health plans. Or, as Taleb has pointed out in the past, consider the Iraq War and the various Western interventionisms in the Arab world. Our leaders might have been less interested in regime change if, like the kings of ancient times, they had to lead the army from the front. Skin is less structured and less technical than Taleb’s previous books and will be far easier to digest for a non-financial reader. It feels less like a book and more like a long, animated chat with Mr. Taleb in a cafe over several strong cups of coffee. I recommend you start by reading his first book, Fooled by Randomness, particularly if you have a background in finance or trading. I first read it in 2002, and there are precious few books that have had more of an influence on me. 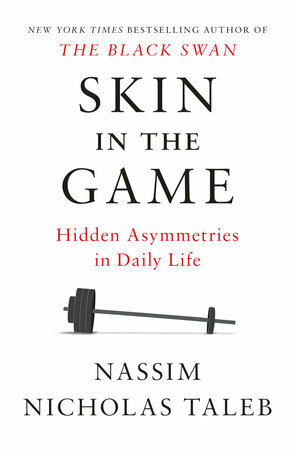 But if you are familiar with Taleb and generally like his work, you’ll find Skin in the Game to be a worthwhile addition to your library. It has that peculiar cocktail of logical reasoning, historical perspective, statistical rigor and good old-fashioned street smarts that Taleb is known to mix. Kudos to Mr. Taleb on another solid work, and I look forward to the next one. The following is an excerpt from 5 “Oddball” Dividend Stocks With Big Yields, originally published on Kiplinger’s. It’s not the easiest market out there for income investors. With bond yields being depressed for so many years (and still extremely low by any historical standard) investors have scoured the globe for yield, which has pushed the yields on many traditional income investments – namely, bonds and dividend stocks – to levels far too low to be taken seriously. Even after rising over the past several months, the yield on the 10-year Treasury is still only 2.9%, and the 30-year Treasury yields all of 3.2%. (Don’t spend that all in one place!) The utility sector, which many investors have been using as a bond substitute, yields only 3.4%. Yields on real estate investment trusts (REITs) are almost competitive at 4.4%, but only when you consider the low-yield competition. Bond yields have been rising since September, due in part to expectations of greater economic growth and the inflation that generally comes with it. This has put pressure on all income-focused stocks. This little yield spike might not be over just yet, either – especially if inflation creeps higher this year. Even if bond yields top out today and start to drift lower rather than higher, yields just aren’t high enough in most traditional income sectors to be worthwhile. So today, we’re going to cast the net a little wider. We’re going to take a look at five quirky dividend stocks that are a little out of the mainstream. Our goal is to secure high yields while also allowing for fast enough dividend growth to stay in front of inflation. 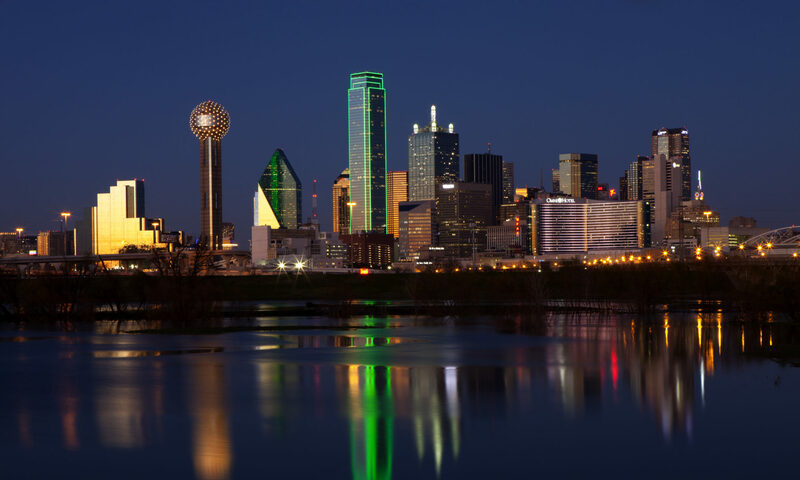 Few companies are as quirky – or have quite the pariah status – as The GEO Group (GEO). GEO is a private operator of prisons that is organized as a real estate investment trust, or REIT. Yes, it’s a prison REIT. Prison overcrowding has been a problem for years. It seems that while getting tough on crime is popular with voters, paying the bill to build expensive new prisons is not. This is about as far from a feel-good stock as you can get. It ranks alongside tobacco stocks on the scale of political incorrectness. The sheer ugliness of its business partially explains why it sports such a high dividend yield at well above 8%. It’s also worth noting that this stock is riskier than everything else on this list. The U.S. is slowly moving in the direction of legalization of soft drugs like marijuana. While full legalization at the federal level isn’t yet on the horizon, you have to consider that a significant potential risk to GEO’s business model. Roughly half of all prisoners in federal prisons are there on drug-related convictions. At the state level, that number is about 16%. GEO likely would survive drug legalization, as the privatization of public services is part of a bigger trend for cash-strapped governments. But it would definitely slow the REIT’s growth and it would seriously raise questions of dividend sustainability. Furthermore, prison properties have very little resale value. You can turn an old warehouse into a trendy urban apartment building. But a prison? That’s a tougher sell. So again, GEO is a riskier pick. But with a yield of more than 8%, you’re at least getting paid well to accept that risk. The Oracle of Omaha made a very public bet with Protégé Partners on December 19, 2007 that over the following 10 years, an unmanaged S&P 500 index fund would outperform a collection of five high-profile fund-of-funds. Buffett won the bet… and it wasn’t even close. The S&P 500 returned a cumulative 125.8% (or 8.5% per year). The hedge funds delivered cumulative returns ranging from just 2.8% to 87.7% (0.3% to 6.5% per year). And remember, this time period includes the 2008 meltdown. The five funds-of-funds got off to a fast start, each beating the index fund in 2008. Then the roof fell in. In every one of the nine years that followed, the funds-of-funds as a whole trailed the index fund. Let me emphasize that there was nothing aberrational about stock-market behavior over the ten-year stretch. If a poll of investment “experts” had been asked late in 2007 for a forecast of long-term common-stock returns, their guesses would have likely averaged close to the 8.5% actually delivered by the S&P 500. Making money in that environment should have been easy. Indeed, Wall Street “helpers” earned staggering sums. While this group prospered, however, many of their investors experienced a lost decade. On this count, I can’t argue with the Oracle. One fund delivered annualized returns of 6.5%, which might be considered competitive with the 8.5% annualized return of the S&P 500 on a risk-adjusted basis. I say “might” because I don’t have enough information to say definitively either way. But I can say with confidence that the performance of four out of the five fund of funds was pathetic. Investors paid a lot of money in fees and got virtually nothing in return. I’m not, however, willing to throw out the baby with the bath water and eschew all hedge funds. Depending on your time horizon and objectives, certain funds and certain strategies put into practice by funds might be worth a place in your portfolio. Over the past decade, I’ve placed many of my accredited investor clients in a variety of absolute-return funds invested in everything from medical accounts receivables to option-writing strategies. And the funds did exactly what I wanted them to do: They reduced portfolio volatility without sacrificing much in the way of returns. They avoided major drawdowns. And importantly, they gave my clients the piece of mind they needed. I can’t, in good faith, invest 100% of the portfolio of a retirement-aged client in an S&P 500 index fund. That would be irresponsible on a level that should be considered criminal. But I also can’t, in good faith, invest a significant portion of their portfolio in bonds at today’s yields. Alternative investments, which would include hedge funds, can — if done right — act as a substitute for traditional bonds. Does the hedge fund actually hedge, in that they manage risk? Or is “hedge fund” merely code for “aggressive equity trading.” Most of the high-profile managers you see on TV (Bill Ackman, Carl Icahn, etc.) fall into the latter category. I have no interest in those kinds of managers. How large is the fund? There is a sweet spot here. Ideally, you like to see at least $100 million under management. You know that the manager can keep the lights on with the fees generated from a portfolio that size. But when a fund gets to be several billion dollars, it can be too big to operate in their area of expertise. Just about any strategy becomes unmanageable at a large enough asset size. Buffett himself has complained that he can’t invest the way he wants to at Berkshire Hathaway because it’s simply too big at its current size. Is their strategy — and any hedges they have in place — going to survive a period of significant market turmoil? 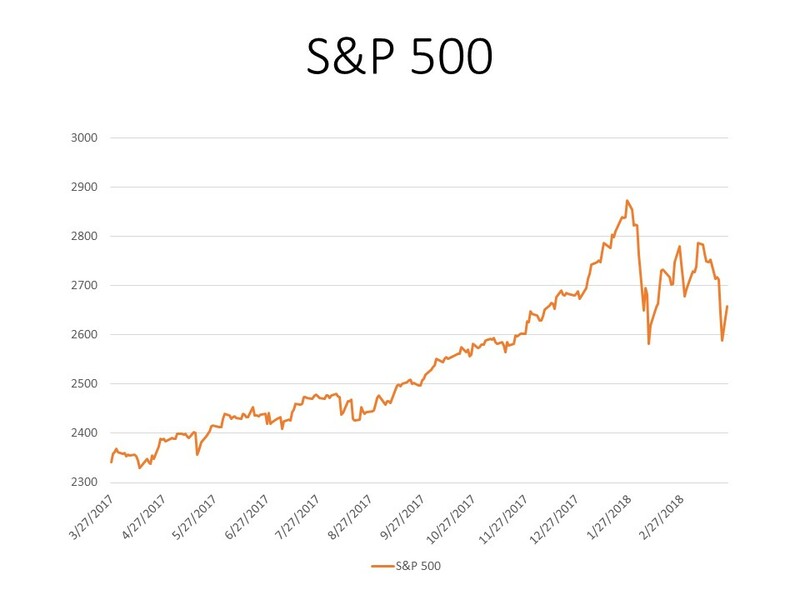 You generally can’t know with 100% certainty, but it’s useful to know how the fund performed in past periods of volatility, such as the 2008 meltdown or the 2010 or 2015 flash crashes. Or for that matter, the recent spate of volatility we saw in February. Is the fund illiquid? And if so, why? If the fund invests in traded stocks or options, it should offer monthly or at least quarterly liquidity. There’s just no reason why it wouldn’t. But if the fund invests in illiquid notes or real estate, then a lockup might be 100% warranted. Is the fund minimally correlated to the stock market… and to the other alternatives in my portfolio? This is an important one. There is literally no point in investing in an alternative strategy if it’s just going to follow the rest of your portfolio lower in a bear market. 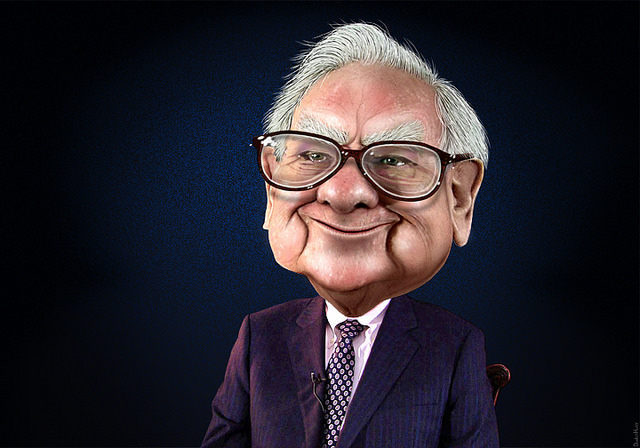 Buffett is right that most hedge fund managers don’t earn their fees. But I’ll never begrudge a manager for charging a high fee if they’re delivering something I can’t get elsewhere for cheaper. On CNBC: What’s the Outlook for Bonds? It’s ‘all a bit upside down’ on market reactions to inflation outlook from CNBC. Right now, it’s all about bond yields. The U.S. market has been extremely expensive by historical standards for several years now. Throwing out one popular valuation metric, the 10-year CAPE is sitting at 1998 levels. By some metrics (median price/sales ratio, for example), the market is the most expensive it’s ever been in history. But as Warren Buffett has pointed out in multiple interviews, the market is not quite as expensive as it might seem at first glance when you consider how low bond yields are today. Of course, the flip side of this becomes “What happens when bond yields start trending higher?” Suddenly, stock valuations start to matter again. The 10-year yield has been trading in a range for several years now, with 3% being the upper limit of that range. I expect that yields will push a little over 3% before easing back into the mid 2’s. If something more or less in line with that happens, then I believe the bull market is safe and intact for the time being. Should yields push through that 3% level and keep on rising, then I think we should expect a lot more choppiness and volatility. Other than bond yields, the economic backdrop is solid. Most of the data coming in is positive, and we haven’t seen the effects of corporate tax reform flow through to profitability yet. So, barring a quick reversal in growth (which I see as unlikely in the next 6 months) or a sharp uptick in inflation (which I also see as unlikely), the backdrop looks good for further gains. This article first appeared on Sizemore Insights as On CNBC: What’s the Outlook for Bonds? I always try to read everything that Jeremy Grantham’s GMO publishes, but I somehow missed this one until it was republished on Meb Faber’s Idea Farm. Good stuff: Don’t Act Like Stalin. Lot’s of good takeaways (as always). GMO’s main point was that chasing recent performance is a game you can’t win. All good strategies (and good managers) have periods of outperformance and underperformance. But while chasing performance is a terrible move, so is sticking with a bad strategy or a strategy that is likely to be a lousy fit in a given macro environment (i.e. owning bonds in an inflationary environment or owning gold and commodities in a severe disinflationary environment). This is where communication is important. Talk to your manager and ask them to explain their strategy. If it’s outperforming, ask them why. If they can’t explain it (or if they get excessively cocky about it), I’d question how sustainable the performance is. You might want to bank your profits and move on. Likewise, if they’re having a bad year, ask them why. If they can’t explain it, they get overly defensive or their answer just doesn’t make sense, don’t hesitate to cut them loose. But if their strategy makes intuitive sense to you and it offers diversification alongside other strategies you’re running (that great alchemy of uncorrelated returns! ), then give the manager a little leeway. Not for the manager’s benefit, of course. His or her wellbeing is not your concern. But if you employed them for a reason (i.e. their strategy tends to zig while the rest of your portfolio zags) then you should hang on long enough to get the expected benefit. As a case in point, Grantham and his team lost half their assets under management in the late 1990s when value lagged growth. But Gratham absolutely killed it in the years following the tech crash… and his former clients that bailed on him missed out. Prospect Capital’s (PSEC) latest earnings release didn’t do much to improve investor sentiment toward the stock. It remains mired in trading range and sits are barely 70% of book value. PSEC has long been accused of being a little more aggressive than its peers in valuing its assets. But even so, at these levels it is safe to say that Prospect is trading at a deep discount to the value of its underlying portfolio. We all know it’s a tough market for business development companies. Funding costs are rising at a time when yields on investment are falling due an glut of capital in the space. So, here’s a novel idea for management: Halt all new investment and instead plow the proceeds into share repurchases. I’m not joking. Prospect shares yield 11% at current prices, which is about in line with its new originations. But it also trades at a 28% discount to book value and is diversified. So why accept the risk of a new origination if you can simply reinvest in your own shares and be done?